Paranthas/parathas are Indian flat bread made of whole wheat flour (atta) with a stuffing of vegetables etc. We make paranthas fairly often. In North India, paranthas are often made for breakfast while as in the South we tend to have them for lunch or dinner. Paranthas are traditionally served with curds and pickles. We like to have them with chutney as well. There are so many types of paranthas in which we use different kinds of stuffing. 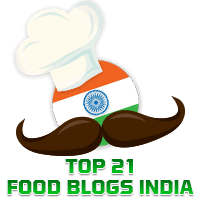 Here in this blog itself you will find recipes for Oats Masala Parantha, Gobhi (Cauliflower) Parantha, and Spring Onion Parantha to mention a few. Today's recipe is for Aloo Paranthas in which the stuffing is of boiled potatoes ("aloo" in Hindi) . # Place the potatoes in a vessel without water and keep this in a pressure cooker with water. This method of steam cooking helps to cook the potatoes with less absorption of water. When you directly boil the potatoes in water, they tend to absorb water which makes the stuffing too moist. # Boil the potatoes the previous night in the usual way for use the next morning to make the stuffing less moist. In this recipe, 1 and 1/2 cups of whole wheat flour dough yielded 9 balls which make 9 paranthas. Needless to say, you can choose the size of the balls to make the stuffing and the dough. Wash and boil the potatoes. Once they are cooled, peel and mash them and keep aside. In a bowl combine mashed potatoes, chopped onions, chopped coriander, chopped green chillies, red chilli powder, coriander powder, chaat masala, cumin powder and salt. Mix well. Divide the stuffing into equal sized balls. Keep aside. Mix the atta with salt and 3/4 cup of water to make a soft and pliable dough. Seal the filling by pulling the edges of the rolled dough together to make a ball. Do the same for all the remaining balls.